These are literally some of the best asian chicken wings you’ll ever taste. You’ll never be disappointed with Salt and Pepper Chicken Wings Chinese style. In fact, you’ll be craving for more. Here in the Philippines, this Salt and Pepper Chicken is also offered in Filipino fast foods like Chowking. 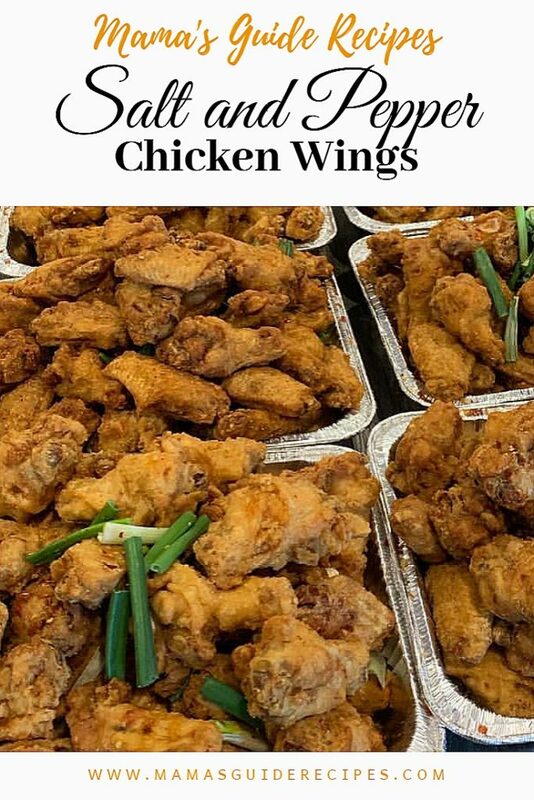 What’s the secret to this S and P wings recipe? Read on and follow the recipe. It’s simply easy to cook and super yummy! This recipe is for 1 lb. of chicken but if you need a larger batch just double up the ingredients for party recipe needs. You may also use other chicken parts like breast fillet. Just use a kitchen mullet and pound the meat to flatten to help quicken cooking of meat. Happy cooking! Note: If cornstarch is not available you may use flour alternatively, but it burns easily in oil for frying. *Where can I buy 5 spice powder? In Philippines, its available in SM supermarkets along the spice and condiments isle (together with peppers, garlic powder etc.). 1. Chop each chicken wings into 2 pieces by locating the joint in the center. The drumette and the wingette (or flat side). 2. Season the chicken with salt and pepper, dip the chicken wings to the cornstarch first then dip it to the scrambled egg. 3. In a pan, heat oil and fry the chicken wings over medium to low heat until golden brown. Drain from oil and set aside. 4. In the same pan, heat 1 tbsp oil to Stir fry the chili, spring onion, garlic, ginger. Place back the chicken. Give it a quick sauté, add some rice cooking wine, five spice powder, salt, pepper, and sliced spring onions. Toss it well until all spices are well distributed.